Most Sundays are quiet affairs spent at home with family and friends with perhaps a sojourn to the beach with the kids. But this past Sunday wasn’t just any old run-of-the-mill Sunday. There was a game of Rugby going on in Auckland, the V8 Supercars swapping paint on the Gold Coast and in the quiet enclave of Burrawang a bunch of men ranging in ages from 15 to 60+ were recovering from the 2011 edition of The Burrawang Cup. Played since 1994 the Burrawang Cup is an annual golf day run by the proprietor of the Burrawang Village Hotel – Ed Woolfrey. With a eclectic collection of locals, “The Cup” has gone from strength to strength with the number of participants growing as the years roll by. Unfortunately this correspondant was unable to play in the 2011 edition, but I was able to make it to Burrawang in time for the formalities and to see the presentation of the Cup to this years winner. 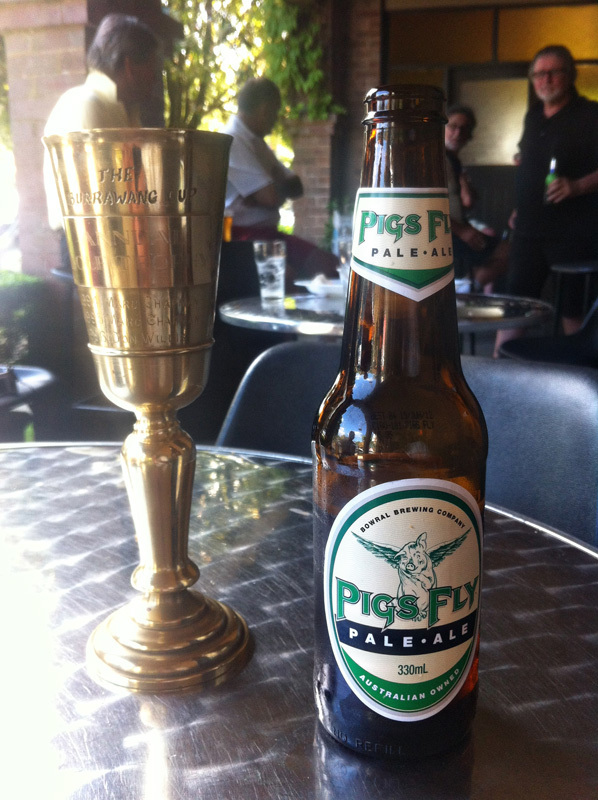 There was another upside to my visit to Burrawang and this was in the form of the local brew – Pigs Fly Pale Ale. Recently consumed at a long and indulgent lunch with Mrs D at the McVitty Restaurant, the Pale Ale is a delightfully refreshing brew made locally by the Bowral Brewing Company. This drop is very drinkable with familiarity creeping in from the Matilda Bay and Monteiths breweries that have been very well documented on these pages. Pigs Fly is tricky little one to pick up in the big smoke but a little digging will see a 6 pack in your fridge in no time. Do yourself a favour though – head for Ed’s pub and have one there in the beer garden on a balmy Summer’s eve. 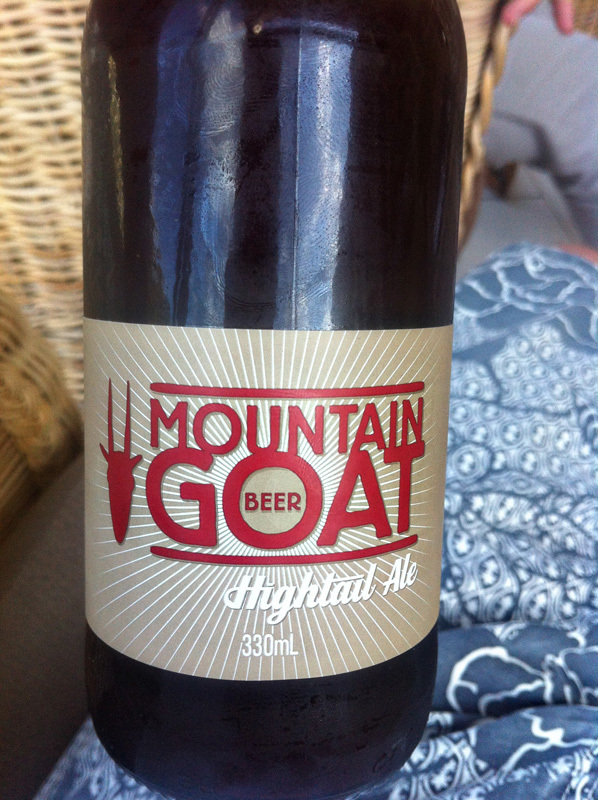 Another brew sampled over the weekend was the Mountain Goat Hightail Ale – fellow contributors bladdamasta and illiards sampled the Cross Brew on recent trip to Rylstone – the Hightail Ale is another deserved of a follow-up and consumption on a warm day. Delightfully drinkable, this ale will not fail to refresh and replenish. A fine head-line. Sub-editor were you? Thought long and hard about that one. Nice to see the Brewer is an avid reader of BotF too.